Comedy. It’s just making people laugh, right? Turns out there’s a bit more to it than that. Since you’ll probably be exploring the city’s comedic potential during TodayTix Comedy Month, here’s a little more info on what makes each type of comedy unique. The most common question improv actors are asked after a performance is, “But who wrote the show?” The answer is: no one! Improv is comedy that’s completely made up on the spot. Some shows have a half hour of comedy inspired by one word from the audience, while others might begin with an interview with a stranger and the cast will perform an improvised show based on that interview. It’s funny, surprising, and often the most hilarious stuff you’ll ever see. “Yeah, but who really wrote the jokes?” you may ask. I promise, it’s not written, the performers are just that good. 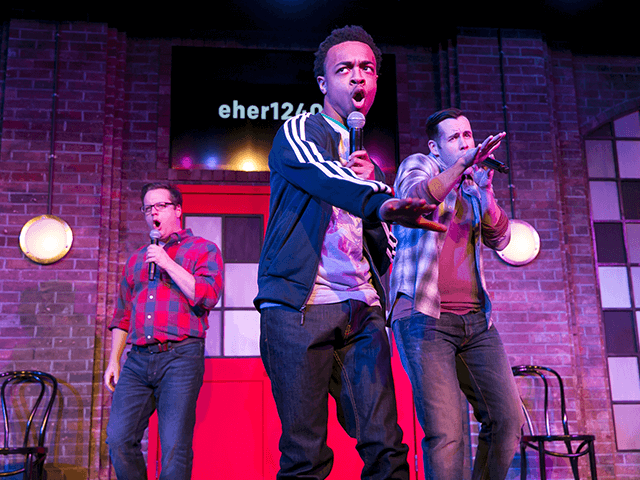 If you’re not sure about improv, you might want to try the more familiar comedic form — sketch. If you’ve ever seen Saturday Night Live, you’ve seen sketch! In sketch, a team performs short written scenes. The scenes may be entirely unrelated, all connected to a theme, or tell an overarching story. No matter what, it’s always hilarious. Though you won’t get Broadway-quality set design, you will get more characters, props, and costumes than your average improv show. The best part is that when you see a sketch show in a big city, you can be pretty sure you’re seeing at least one actor before they break into the big time. 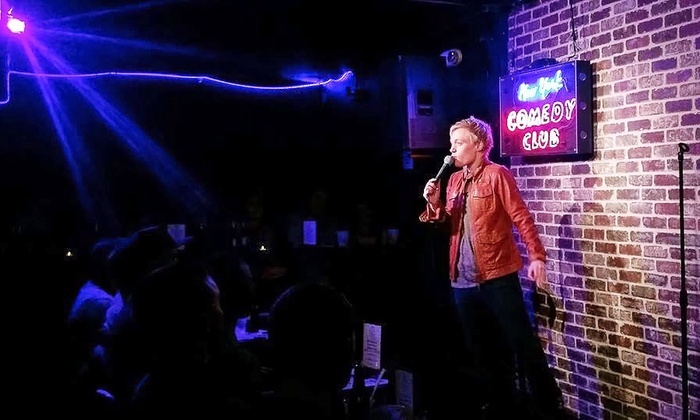 Stand-up is probably the most popular type of live comedy. It involves a comedian, a microphone, and jokes. Standing up is optional (wokka wokka). If you haven’t seen a stand up show since Jerry Seinfeld hit the scene, now is a great time to check it out. Stand up has come a long way from airplane food jokes and “What’s the deal with…” material, and you can see the best in their prime seven days a week. Want to explore stand-up, sketch, and/or improv? Well gee whiz, lucky you! It’s TodayTix Comedy Month after all, where comedy tix are no-fee from August 10 – 31.